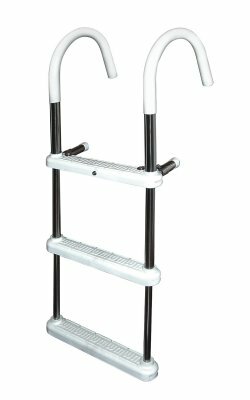 JIF Marine 3 Step Stainless Steel Gunwale Hook Ladder, 7" Hook, 1.5" Deep/Wide Steps, .316 Stainless Steel. 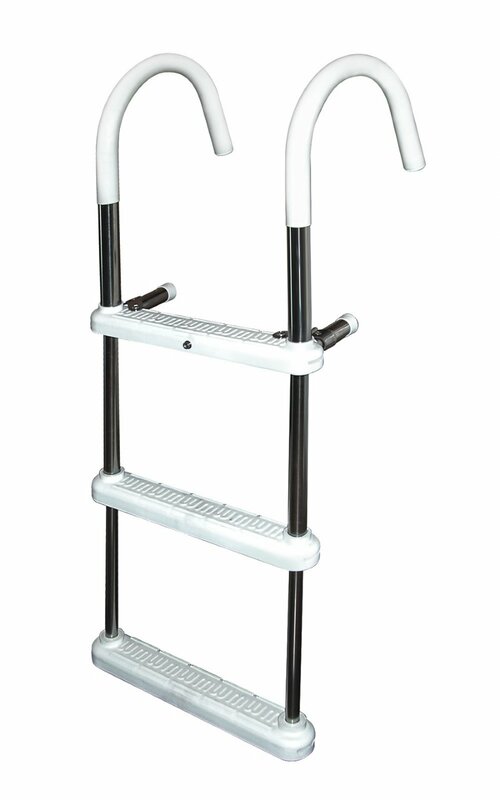 Ladder is constructed of 1" diameter .316 Stainless Steel. 1.5" Deep/Wide non-slip contoured poly coated steps. Stainless Steel stand-offs with cushioned tips.